If you have been involved in any kind of accident resulting in a burn injury and have a pending settlement case, our law professionals can work to get you the lawsuit loan cash advance you deserve. Burn accidents are a significant problem and a common occurrence in the United States. According to the Burn Survivor Resource Center, 450,000 people received treatment for injuries in 2011 and 3,500 people died from burns (3,000 of those were from residential fires, the other 500 were the result of electrical, thermal, or chemical burns). Burn injuries rank second under car accidents as the leading cause of accidental death in the United States. Chemical burns: caused by contact with chemicals in liquid, solid, or gas form. First-degree burns are burns to the first layer of skin. Second-degree burns are burns to both the first and second layer of skin. Third-degree burns are burns to all layers of the skin and tissue under the skin. Fourth-degree burns are burns that extend to the muscle. Are you a victim of a burn injury due to the negligence of another person or a product that malfunctioned? You could be entitled to compensation under personal injury law. 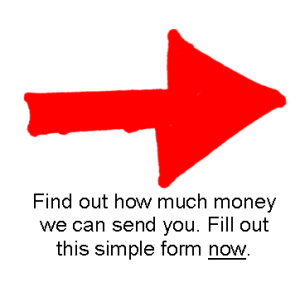 Can you use a lawsuit loan cash advance in the amount of $1,000, $2,000 or even $5,000 right now? Let Interstate Lawsuit Funding get you the litigation funding you need while your burn injury case settles. Most burn injuries are minor and do not require medical attention, however for those that do, the expenses can become costly and ongoing. Settlement funding for a burn injury is available in the form of a lawsuit loan to cover these unexpected medical expenses. Recovering from a burn injury can take a long time and can leave you out of work for just as long. Although insurance companies claim to have your best interest at heart, they are only working hard to get you the minimum settlement amount. They want to wear you down so you settle for less than you deserve. A cash infusion in the form of a no-risk lawsuit loan can be helpful. Get the pre-settlement cash advance lawsuit loan you need while your lawyer works to get you the cash you deserve. Here at Interstate Lawsuit Funding, we understand the difficulty of going through a settlement case. We know that not all cases settle quickly, and litigation funding may be the best alternative to supplement income while you wait for your final settlement. If you need to pay the rent or mortgage, a car payment, or every day expenses, apply for a pre-settlement cash advance with Lawsuit Funding. Our professional staff will work diligently to ensure your requested lawsuit loan is expedited so you can use your cash advance as soon as possible. Once your application has been accepted and processed you will receive a certified check via postal mail. If, for some reason, your case is not won and you do not receive your final settlement, you owe nothing back to Interstate Lawsuit Funding. We only get paid when you have received your final settlement. Let Interstate Lawsuit Funding assist. There is no risk and no credit check. Our decision to provide settlement funding is based solely upon the merit of your case. Get the funding you need by filling out the 30-second application. You deserve fast, individualized attention. A decision-maker from our company will contact you within ONE business day to review your specific situation and funding needs.